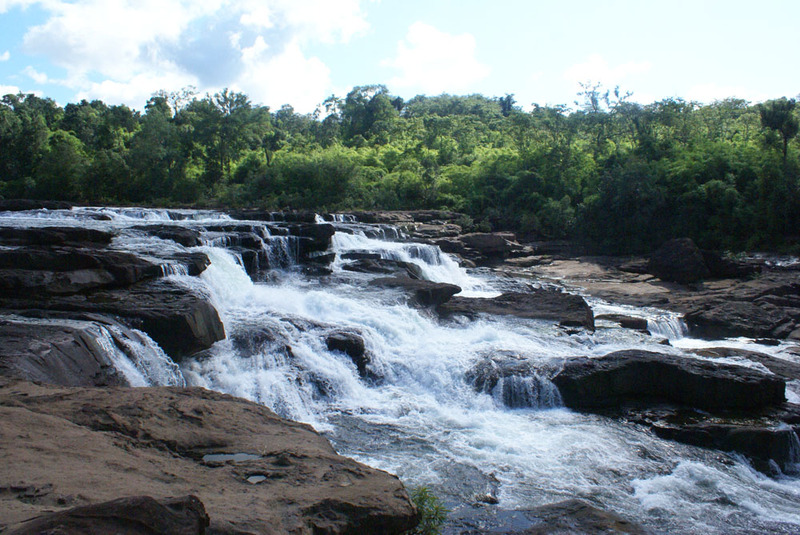 This soft adventure tour takes us through pristine jungle and riverscapes from Koh Kong to Phnom Penh. 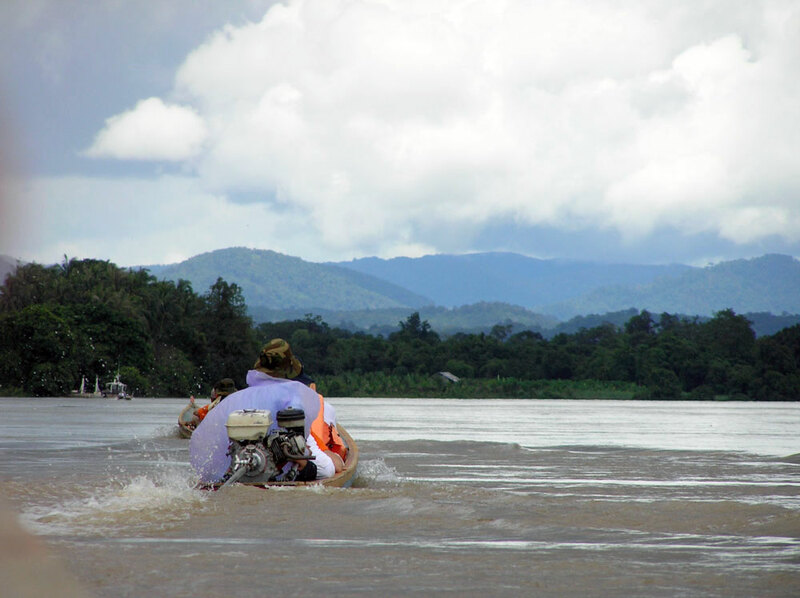 On boat trips, treks and a mountain bike ride we discover the natural beauty of some of Cambodia’s most remote areas first hand and experience the traditional lifestyle as part of a homestay in a local village. 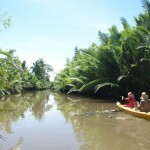 Day 1: We start this journey with a visit of Peam Krasop Wildlife Sanctuary. 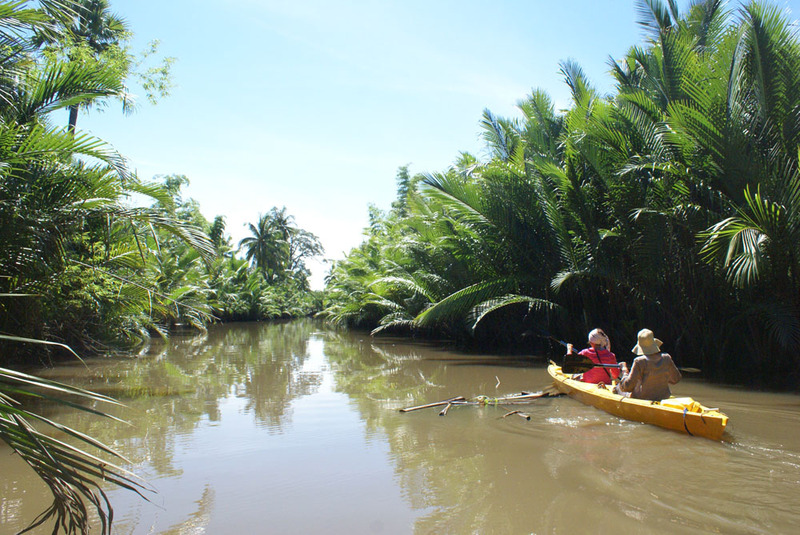 Cambodia’s largest and most pristine mangrove forest is considered to be one of the most beautiful mangrove coastal ecosystems in Southeast Asia. 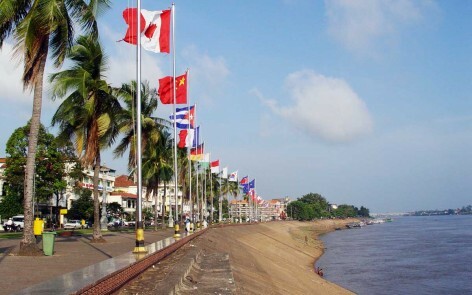 It is also the home of a number of endangered bird and mammal species. We take the walkway constructed by the local community to a watch tower from which we enjoy the view over the unique ecosystem and observe fishermen at their work. We take a boat ride along the meandering mangrove canals to a remote beach, from where dolphins can be spotted during the dry season. 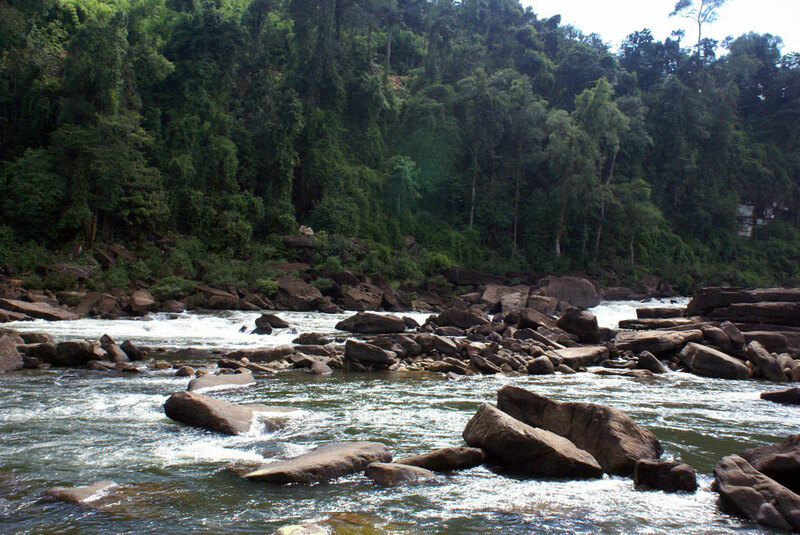 At around noon we return to Koh Kong town for lunch before we board a small speed boat that takes us upriver to the Koh Pao rapids. 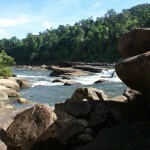 A short walk over the rocks and through the jungle will bring us to some beautiful pools where we can swim and relax. 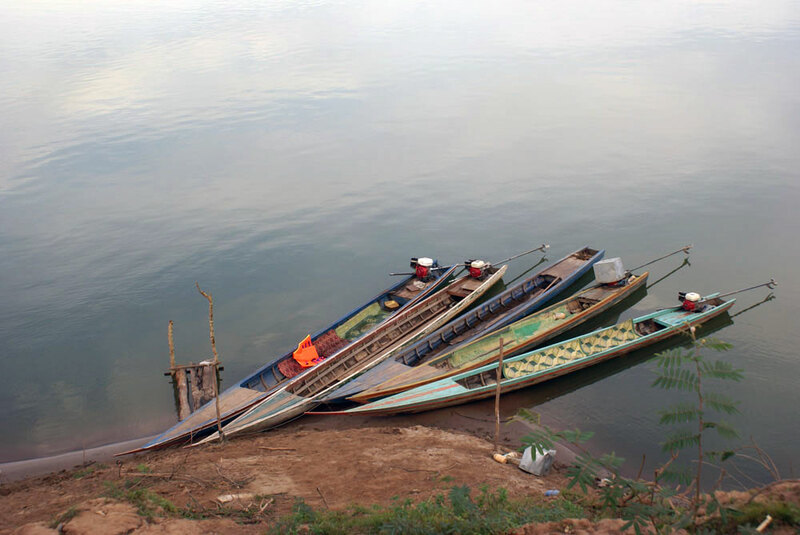 Our boat takes us back to Koh Kong where we arrive towards the evening. 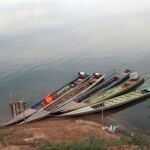 Day 2: We leave Koh Kong in the early morning after breakfast. 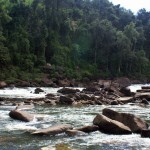 On the way to the Rainbow Lodge we visit the Ta Tai Waterfalls. 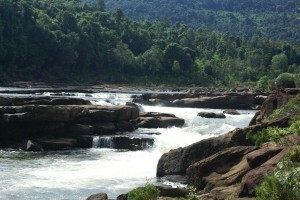 The Ta Tai river flows from its source in the Cardamom mountains through the Peam Krasop Wildlife Sanctuary to the Gulf of Thailand. Depending on the season the waterfalls are a series of smaller falls and natural pools in which it is possible to swim or a thundering mass of water which can only be admired from the riverbank. 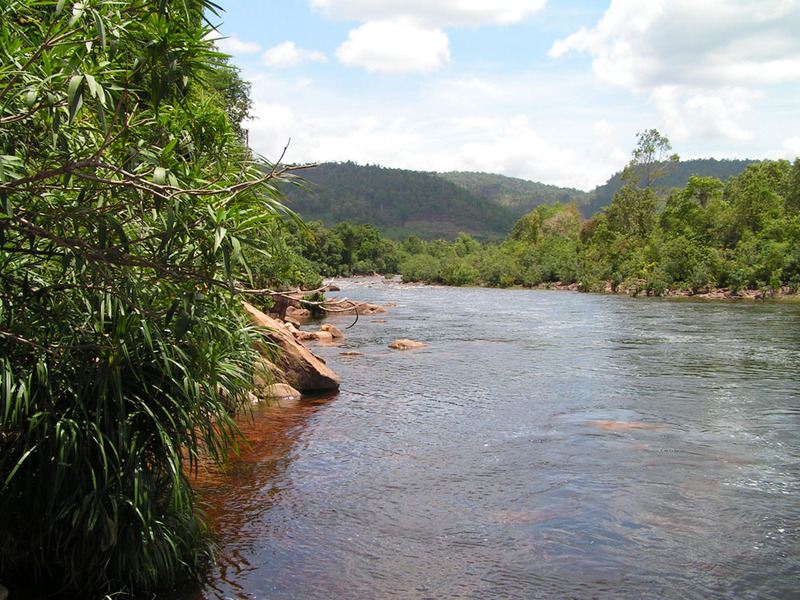 We continue through the Cardamom mountains to Ta Tai Bridge, from where a fishing boat takes us upriver to scenic Rainbow Lodge. This eco-friendly bungalow guesthouse is beautifully located on the bank of the river and seems a lifetime away from civilisation. After lunch we take a walk through the lush jungle to a beautiful spot on the river where we have time to relax and have a swim before we return to the Lodge for a refreshing sunset drink. 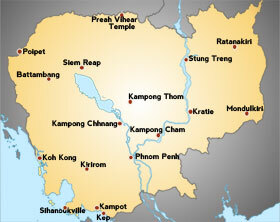 Day 3: Today we visit one of the remote communities in the Cardamom Mountains, the village of Chiphat. The community has received development aid and training from Wildlife Alliance, an international organisation for wildlife and nature protection. 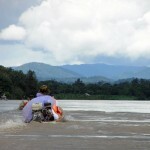 A boat picks us up and takes us upriver to the village. 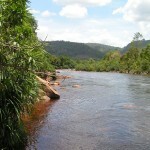 On the 2-hour ride into the southern Cardamom mountains we have the opportunity to observe wild animals from our boat. At Chiphat we meet our hosts and receive useful information on the village and our accommodation before we have lunch. Later we embark on a mountain bike trek through the wilderness in the area. We return to the village where the community has prepared dinner for us to enjoy under the star filled sky. Day 4: We say good bye to our hosts and return by boat to the main road, from where we continue overland to Kirirom National Park. 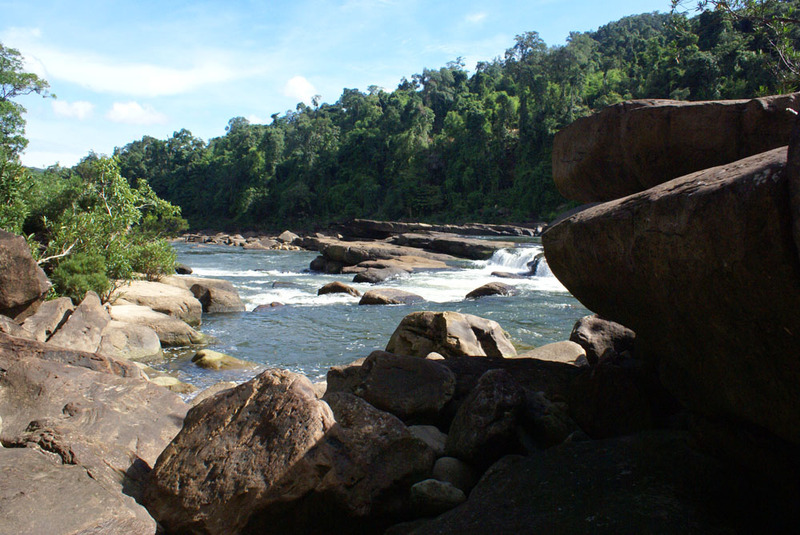 The Kirirom plateau is about 800m above seal level and affords spectacular views of the Cardamom mountains. We drive up to the top, from where we start our trek through pine forest to two small lakes. Occasionally we spot rare birds and other wildlife on the way. After our picnic lunch we continue downhill through the dense forest to a wonderful waterfall where we can swim before returning to our resort where we enjoy some free time around the swimming pool before dinner. 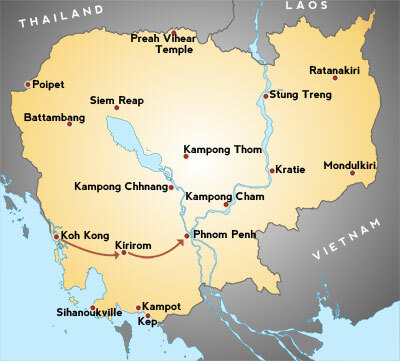 Day 5: We leave early today to visit the village of Chambok, an eco-tourism community at the foothills of Kirirom National Park that is supported by a local aid organisation. We explore the village and surrounding area with its rich flora and fauna by oxcart before we have lunch at a beautiful spot. 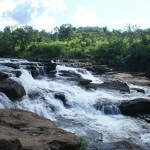 A short trek leads us to a spectacular 40 m high waterfall where we have some time to relax before we drive to Phnom Penh.